If you are a fashion blogger or thinking of starting a blog, you may be wondering how bloggers make money blogging. In a previous post, I wrote a detailed overview on 8 ways fashion bloggers make money blogging. One of the strategies discussed in that post about how to earn an income is sponsored posts. A sponsored post is a post in which the influencer is paid, in cash or gift, to share information about a brand’s product or service on the influencer’s blog or social media channels. It can be a blog post, Facebook post, Instagram post/Story, YouTube video, Tweet, and even a Snachat snap. The purpose of a sponsored post from the sponsor’s perspective, is to gain exposure and/or drive sales of the brand’s product. The post can be written by the influencer or by the sponsor (advertiser). How do [Fashion] Bloggers Find Sponsored Posts? As a blogger, you would like to paid for your work. Recent studies have shown up to 11x return on investment (ROI) for advertisers when they use influencers instead of traditional digital methods. 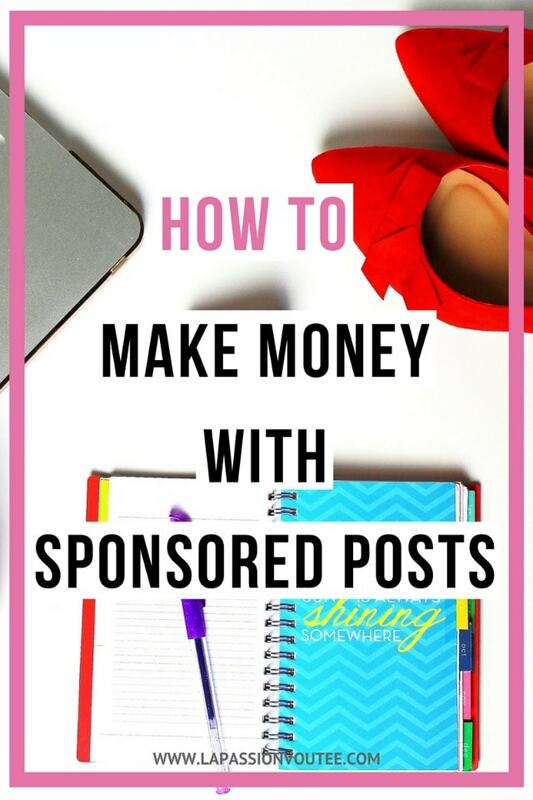 This is compelling for advertisers and a huge avenue for bloggers to make money from sponsored posts. There are two main ways to get paid, sponsored posts (collaborations) with brands. The first method is by pitching yourself directly to the brand. A few months after starting my blog, I was able to get a few sponsored posts by pitching myself directly to the brand. The second is by going through an influencer network/marketplace. Using an influencer marketplace happens to be one of the ways bloggers get big collaborations with brands. Unfortunately, many bloggers are unaware of it because bloggers are afraid to promote this network to other bloggers for fear of increasing the competition to secure paid collaborations. There are advantages and disadvantages of both methods. We will go into details about each one below. Pitching yourself to a brand involves reaching out to a brand you absolutely love and you believe would be valuable to your readers/followers. In your pitch, you would highlight the content of your potential collaboration to give the sponsor some insight. For example, the collaboration could be a product review, a giveaway, a how-to post (showing people to do something the brand’s product), or a post using their products. Briefly introduce yourself and your blog making sure to emphasize the uniqueness of your blog. Do this in a few sentences to make it easier on the PR team and increase your chances of getting a response. If the company is interested in working with you and needs additional information, they will ask for it. It is up to you to decide on what makes your blog different from others. Could it be the particular demographics you focus on? (Age, Race, Clothing size, Location, etc). Your blog/social media engagement rate? Or the type of content you create? Whatever it is, make it clear and keep your email short and sweet. PR people want to see how your blog will market their product/service so you want to show them the numbers. If your numbers are not impressive, that’s ok. Focus on how you can deliver value to them. Sometimes influencers with large numbers have a diluted audience which does not necessarily translate to a significantly higher return on investment compared to up and coming bloggers. If you’ve worked with other brands in the past showcase those collaborations as well. So how do you include all this information and make it succinct? Use a media kit! A media kit is a document that highlights key information and statistics about your blog and social media channels in an easy-to-read format. For all practical purposes, it is your blog’s resume. It gives PR people a quick overview about who you are, what you do, key audience demographics, and why they should work with you. You can also showcase some of the brands you have worked with, types of collaborations you are interested in, and how much you typically charge for those options. If you want to pitch yourself to brands you NEED a media kit. *Some bloggers prefer to find out the budget the company has before quoting a price. If you want a free media kit and have Photoshop, Melyssa Griffin has one for you. Click here to access the free template. Finding the right PR person may be a challenge because a company may have multiple social media managers. As a rule of thumb, most PR contact information can be found on the company’s website under the social/contact us page. You can also try to contact them by sending a message on the social media. Still coming up short? Find the company’s PR team members on LinkedIn. Fashion bloggers often overlook LinkedIn and gravitate towards more traditional networks. Reaching out directly to a particular marketer instead of the general press email drastically increases your chances for success. There is no guarantee that you will hear back from the company or that they would be interested in working with you. But as they say, “You never know until you try.” So it is a good idea to give it your best shot. Even as a newbie blogger (a few years ago), I was able to secure brand sponsorships simply by pitching myself to the brand. A big benefit of getting sponsored posts directly from a company is that you may get better compensation by working directly with the brand. This is because you cut out the middleman (influencer programs) which allows you to better negotiate the price for your work. Another benefit is the flexibility you get in the collaboration. You work together to decide on a time frame as well as the type of collaboration you are interested in doing. For these reasons, working directly with a sponsor allows you to create an agreement that works best for you and the company rather than being stuck with the requirements of a brand using a sponsorship network. Lastly, pitching yourself to and getting sponsored posts with a brand cultivates the likelihood for future collaborations. If you both have a good experience working together, there is a good possibility that the company will reach out to you again in the future. The second way to get paid working with a brand is by joining influencer sponsorship networks. A sponsorship network is a marketplace that acts as the middleman between bloggers and the brands. These networks connect bloggers with brands in search of bloggers. So rather than scouting for brands and pitching yourself, you opt in for sponsorships that align with your brand. Sponsorship networks get a commission for matching an advertiser to relevant bloggers. Bloggers get paid for their work, the brand gets its words to reach its target audience, and the network gets an incentive for connecting both parties. It’s a win-win-win for everyone. There are many influencer sponsorship programs and paid gigs are not limited to only blog posts. The biggest types of paid sponsorships are blog posts, YouTube videos, Instagram posts, Facebook posts, and Tweets on Twitter. Payment varies widely and depends on brand requirements (the more the require, the more they pay), the blogger’s reach, and timeline (brands tend to pay more for seasonal/holiday promotions). Why get sponsored posts through an Influencer marketplace? Working with influencer networks make it possible to connect with large brands that you may not have known about. These brands typically contract out their social media budget to one or more influencer networks. The influencer network reaches out to potential influencers and a deal is struck. If you were going it all by yourself, you would not know about the sponsored opportunity. For ages, I struggled trying to figure out how bloggers were able to work with big brands. It took a lot of digging to find out that the key was going through an influencer marketplace. Most brands do not have the time or money to find bloggers to meet their needs. If you are a new blogger, it may seem intimidating vying for the same spot as bigger bloggers but don’t let deter you. As a matter of fact some big companies actually prefer working with smaller bloggers because they tend to get a bigger bang for their buck from smaller bloggers with loyal fans. This program is different from others in that you get paid according to the number of unique clicks you drive to the merchant. Rather than getting a fixed pay, you can earn more for your efforts. Once a sponsored post becomes available that matches your demographics, Linqia will send you an email about the opportunity. Make sure to add them to your safe sender list and completely fill out your profile so you don’t miss out on great opportunities. Known formerly as Clever Girls. Real Clever is an influencer marketing agency that is owned and operated by women. Influencers sign into the platform and apply for brand collaborations. The process is quite straight forward and you also have the option to provide additional information that could aid in you being selected to work with the brand. Weekly email blasts are sent out about new campaigns and Twitter parties. If your blog has a huge focus on millennials, fashion or beauty, this program is a goldmine! Like Linqia, you will receive an email about opportunities. The amount you are paid varies (up to a few $$$) from campaign to campaign which is provided in the survey email. However, it takes a few weeks to get accepted into the program but once you’re in, you also get access to a library of resources that contains blogging tips. BlogHer is an equally amazing influencer marketplace. To some extent, BlogHer can be described as a one and done marketplace. You can join the social media influencer network by applying for acceptance into one or more networks. You get dashboard notifications and email blasts about available campaigns. For bloggers with 30,000 or more monthly views, you can apply for membership into BlogHer’s publisher network. Once accepted, you can start placing ads on your blog for additional income. Social Fabric was one of the first influencer community I joined. Social Fabric always has great campaigns in the works. Personally, I feel the network is geared towards food and lifestyle bloggers but occasionally has opportunities for fashion bloggers. One feature I love about Social Fabric is the SoFab University. 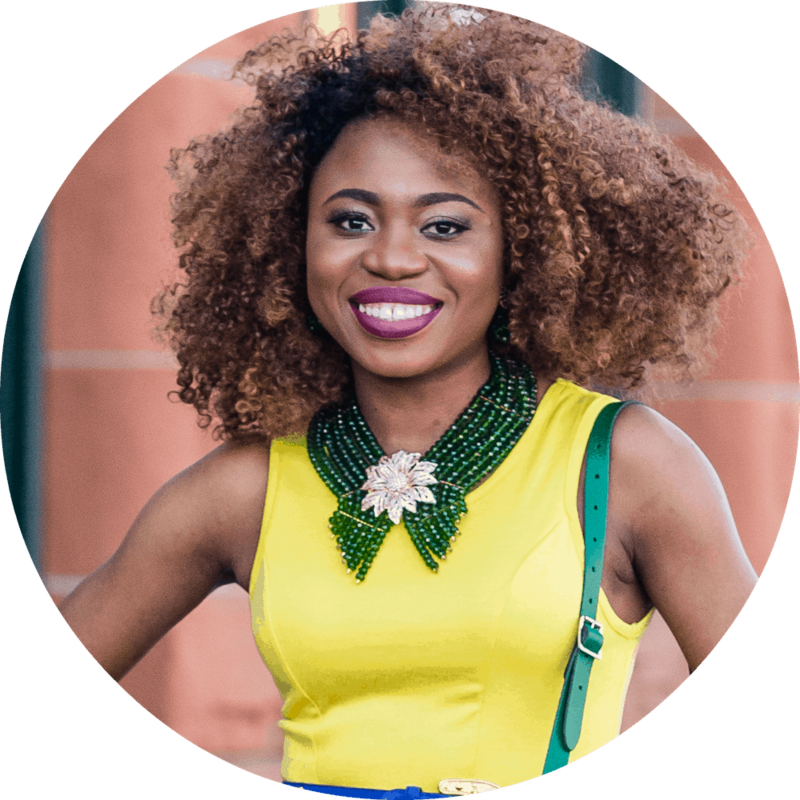 SoFab University is a learning center for Social Fabric influencers to learn more about social media strategies. I have learned so much from the free courses. Want more? Here’s a list with 5 more amazing influencer networks. Influencer communities make it easier for influencers to collaborate with brands. Influencers do not have to painstakingly pitch themselves to a brand and hope to secure a partnership. With influencer networks, all you have to do is apply for sponsorships that align with your brand. In addition, influencer marketplaces keep brands and bloggers accountable. The company agrees to pay the blogger to accomplish a few tasks. Oftentimes, these marketplaces are paid upfront by the sponsor and deliver payment to the influencer once those tasks have been completed. I’ve read stories about bloggers who completed work for a company and never got paid or started receiving additional tasks to complete before release of payment. While these networks guarantee that influencers are given the best compensation, these networks compete with each other for a company’s contract. The principles of demand and supply affects the negotiation process. Bloggers may be able to get better compensation working directly with a company. Some of these online influencer networks provide up-to-date blogging and social media resources that are not available elsewhere. As a fashion blogger, I find these resources extremely valuable. Many also have private Facebook groups to connect influencers together. Advertisers see the ROI in having word-of-mouth promotion of their product/service by influencers and are beginning to spend more advertising dollars on this growing platform. As a [fashion] blogger, this represents a great opportunity to diversity your income. 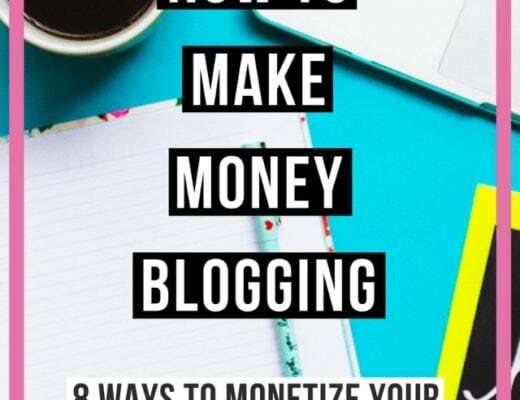 Rather than focusing on only one income stream, fashion bloggers can make money blogging through display ads, affiliate commissions, and sponsored posts. Sponsored posts are now more popular and more lucrative as brands vie to get established bloggers to promote their products. What strategies have you implemented to increase your income from sponsored posts? Drop a comment below. So glad I found your blog. I’m just delving into the world. I’ll be following you closely. You are doing an amazing job Louisa! Great post! This is awesome information! Thanks for sharing! Great info dear, thanks for sharing. Great tips! I just started diving into the realm of sponsored posts this past year and when they work with my brand I feel like it’s a win-win situation. I’ll have to check out some of these other influencer networks. Absolutely Mimi, it’s a win-win for all parties! Great tips! I’ve used the third-party sites but would like to start pitching directly soon! Go for it girl! Good luck. There is so much great information in the article! Thank you so much! I have been doing some research about putting together a media kit and I feel like I am much more equipped to do so. Thank you so much for all of the info and resources! Thank you so much for sharing this! I’m always unsure of what to write in a pitch email and how to best sell myself to brands. I am definitely saving this list and post to help boost my sponsorship! Thanks for these tips! I’m going to look into all of these! Ah! Yes! Thank you for this! I have been trying to find new resources. So many people only use one or two and I have had no luck! I needed this big time! You are welcome Taylor! I am glad you found this helpful. I’m so glad you included some info on how to formulate a pitch. I think a lot of bloggers just aren’t quite sure how to go about it, and if there are some kind of guidelines that we need to follow. I’ve just started getting into the paid blogging sector, and I really don’t know why I waited so long! For anyone who’s considering it, it’s definitely a jump that I’m glad I made. So true Amanda! That’s why I wrote this post to guide people who are not sure about how to go about getting sponsored posts. It is definitely worth it. Thanks for sharing.Very few will let you in on how the bucks roll in.So proud of you.Looking forward to a collaboration with you pretty soon. My pleasure! I’m happy to share my knowledge. Thank you. This is great! Thanks for sharing. I am pinning this to use when I have a bit more time and a larger following. I definitely want to start writing sponsored posts in my future. You could actually get started now so you know what works for you when you have a larger following. Good luck Lauren! My monthly visitors are less than a 1k so do you think it’s still too early to ask brands? Like should there be a set monthly pages viewed quota first? This is a very helpful article. I’m actually writing my first message to a brand right now as I type. Super nervous about it. Totally pinning it so that I can keep track of it. Now to make my own media kit. Hello Chel, go for it! My monthly pageviews were also very small when I got my first sponsored post. 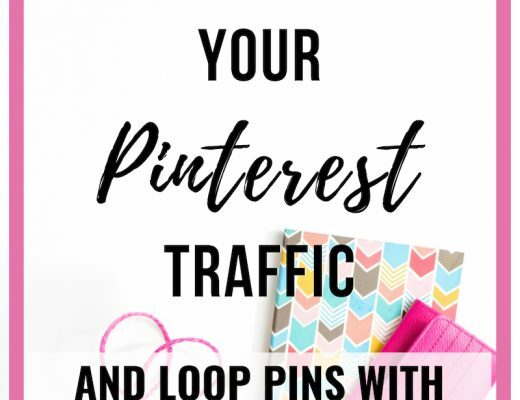 If you have a large following on social media, you can use that as the focus of your sponsored post and your blog as an added benefit for the sponsor. If you don’t have a large following on social, emphasize the review/tutorial of other brands that you have done. This will give them a feel for what you have to offer. Good luck Chel! You’re welcome Sydnie! Glad yo found it helpful. Great post and thanks for sharing! I’ve been wanting to do a media kit and this convinced me to!! My pleasure Yvonne! Happy to hear that this post was helpful. Goodluck!